I continue my goal of collecting and reading the original editions of Wright’s 19 books. His most famous, The Shepherd of the Hills, was his second book. His writings cover a period from 1903 to 1942. These are older personal interest novels written from a broad Christian point of view and set in rural America. 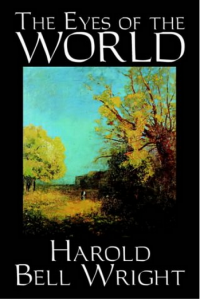 In the Ozarks Wright is known as the “Shepherd of the Hills.” This seventh volume is a story about a western painter who must paint his subjects the way he sees them and not the way they would like, an interesting personal interest story.